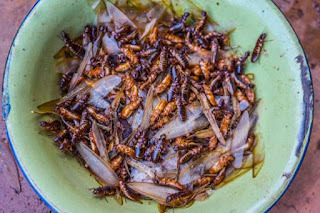 Though Nigerians have been eating insects for quite a while, some scientists are researching if insects are a better option for the feeding the world. One of the researchers Joanna Biesiada says: "Generally, they have more protein than fat so for some this is important. In addition to high protein content, they also have large amounts of elements such as iron, potassium and sodium." Why are insects an option? 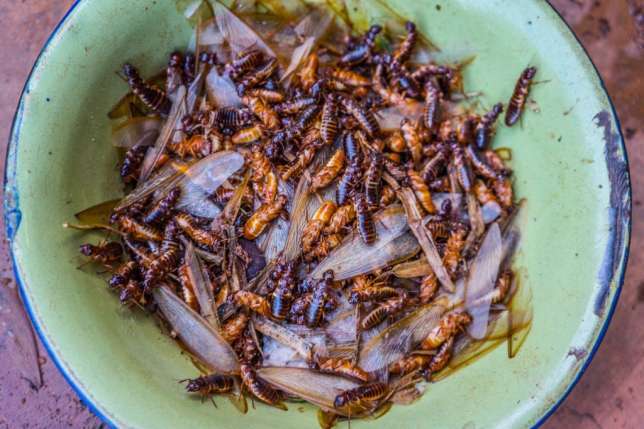 Insects could be a cheap — and importantly, a really efficient — source of protein. Here are other reasons the researchers chose insects. 4. They’re also able to turn a lot of what we throw away into energy, so we’d be cutting down on global waste. Termites, often known as "esusu" and "chinge", are a common snack for some parts of Nigeria and are one of the weird things Nigerians eat. These insects come out of the bush en masse when rain falls and start circling around any source of light that they see.